What Will Ecommerce Look Like 5 Years From Now? The ecommerce industry has come a long way in a relatively short period of time — we forget so easily that the kind of expedient delivery we take for granted today hasn’t even been around all that long. And with new technology always on the cusp of entering the marketplace, we never know when the next transformative event might appear and change the rules once again. That said, while there’s always the possibility that a company will appear to rival Amazon’s retail trailblazing of the last decade and a half, it’s perhaps quite unlikely to happen. With the fundamentals of ecommerce trade somewhat solidified by now, we may see progress that’s evolutionary and not revolutionary — building on the established basics in a steady and incremental manner. 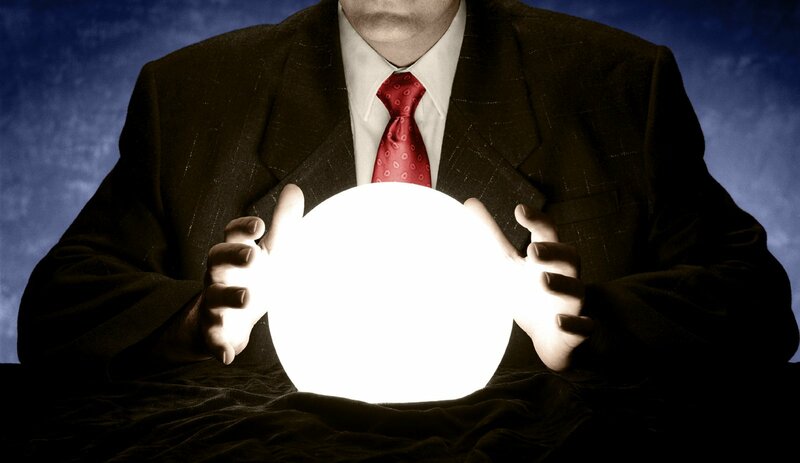 What this means is that we can take a close look at the ecommerce market of today and make some fairly solid predictions about what the future has in store. By building some idea of how online buying patterns and systems will change, an ecommerce retailer can start making appropriate adjustments to its strategy and operation and gain an advantage over more stubborn rivals. In this piece, we’re going to make some sensible predictions about what the world of ecommerce will look like in 2023, and identify some practical takeaways for entrepreneurial types who want get ahead of the game. Let’s get started. To arrive at 13% in particular, I extrapolated growth percentages from this account of U.S. ecommerce quarterly retail share. Looking at Q4 figures going back to 2010, the average yearly growth was .65%, and continuing that trend would take the figure to 13% by Q4 2023. The growth of ecommerce has been fairly steady over the last decade or so. Ecommerce continues to develop while old-fashioned retail remains fairly stagnant. 13% is a conservative estimate given that the rate of growth has sped up in recent years. If you look at total retail revenue in the U.S., you can see that trends suggest that overall retail spend will come fairly close to 6 trillion dollars. If the ecommerce world takes a similar portion of the revenue as it will of the sales, it will generate a massive 780 billion dollars in America alone. This perhaps isn’t the most interesting look into the future, but it’s an important point to start on because it’s an important reminder that the growth isn’t slowing. With each day that passes, ecommerce comes slightly closer to toppling brick-and-mortar shopping as the default retail approach, and businesses that choose not to invest in ecommerce won’t be able to hold out indefinitely. Buoyed by ever-larger screens, one-click buying and a meteoric improvement in ease of use, the smartphone (assisted by the tablet, though that market continues to decline) is rapidly ascending to a position as the default buying device. If the current trend holds — and there’s little reason to think that it won’t — then mobile buying will account for well over 60% of ecommerce purchasing in 2023 (it’s hard to think otherwise given the figures). Having responded to the continuing trend, retailers will have reshaped their development processes to be mobile-first (improving upon mobile-responsive). This means there will be more dedicated retail apps, more cross-platform integrations, and more personalization. Sellers will have moved further down the road of automating their marketing processes, seeking to take advantage of the influx of data, the utility of mobile notifications, and the expanded opportunities of social media channels. Using Apple’s ARKit development platform, Ikea’s Place app hit the iOS app store in 2017, allowing a prospective customer to virtually place items in their home using their iPhone and get a taste of the traditional retail experience without needing to visit any stores. Also that year, Amazon’s AR view did much the same thing, and is now available on Android devices as well. Since the technology is all ready to go, the only limiting factor at the moment is the willingness of retailers to commit time and money to developing AR apps — but given that the essential AR model is already developed, it won’t be long before there’s a generic platform that could readily and cheaply be adapted for any retailer that wants to use it. By 2023, it should be considered standard practice for an ecommerce retailer that sells anything non-perishable to provide visitors to its website with a facility to preview its items through AR. Anything less will be quite surprising to me. As for VR, well, that’s another matter entirely — since VR hardware has yet to mature and find a solid place in the mainstream, I find it hard to believe that many ecommerce retailers will see the value in investing in VR productions, though we can expect to see a rise in pop-up demonstrations (ecommerce retailers setting up temporary locations with high-end VR headsets to showcase their wares). Automated transport poses security hazards that create issues both legally and socially. If a drone crashed and hurt someone, the law would be somewhat unclear on the distribution of fault, and the public would want someone to blame. The sluggish nature of government means that adapting the current airspace system to make it suitable for nationwide drone delivery is going to take a long, long time. While I’d really like to see the ecommerce world take another bite out of brick-and-mortar retail through the widespread introduction of distribution centers capable of providing same-day delivery, I simply don’t believe that the red tape blocking the path can be successfully navigated within five years. No business has infinite resources, which is why there’s great challenge in meeting the ever-rising standards of UX and turnaround time that stemmed from the birth of ecommerce. When the iPhone came along and popularized the smartphone format that has become so dominant, it forever changed what people expected from their online activities, and there’s no walking that back — no way to lower expectations of intuitive interfaces and speedy replies. As is so often the case, though, technology shortly arrived to solve the problems introduced by its preceding technology. The confluence of AI systems, natural language processing (NLP), conversational commerce, the Internet of Things (IoT) and scalable cloud processing is capable of achieving remarkable levels of customer service, and the ingredients are all there today. 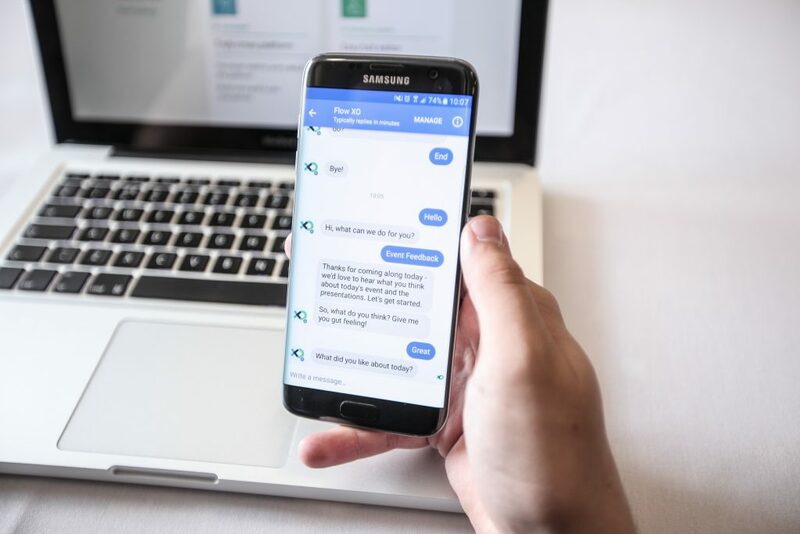 Five years from now, it will be considered unusual for an ecommerce store of any size not to provide a catered combination of chatbot support and human assistance (whether through a live chat system, a VOIP channel, or a basic ticketing system). Retailers that get the mixture right will be achieve to achieve incredible rates of customer retention. Optimal results cannot be achieved with just one approach — even in 2023, a chatbot won’t be sophisticated enough to effectively mimic a human’s responses (plus you can factor in similar ethical quandaries to those present for drone deliveries), and the heated demands of 24/7 connectivity are incompatible with fully-human support systems (people need to sleep, at the very least). Taking and processing high-quality imagery used to be the domain of the dedicated photographer — only recently have advanced smartphone sensors and automated optimization tools become prevalent. Earlier internet connections weren’t up to the task of delivering large image files so frequently. To ensure fast operation, imagery had to used sparingly. The online world runs on code that can be parsed by computer systems. For a long time, imagery was antithetical to this. By now, though, these stumbling blocks have been eroded. We carry around pocketable devices capable of taking rich and glossy product photos, connect to networks capable of reliably providing sumptuous video streams, and have access to sophisticated image-interpreting systems that use machine learning models to solidly estimate what images involve. You can actually already see this shift taking place — I find it quite interesting to browse categories of established online businesses for sale and compare the layouts. Some store owners stick to old-fashioned templates, while others shoot for visual-rich minimalism. We can expect to see much more of the latter as the years roll by. So, in the ecommerce world of 2023, store layouts will be relatively sparse, driven by functional options and illustrative images as opposed to large quantities of content. The content will still be there, of course (I don’t expect search engine algorithms to stop weighting text so heavily in the near future), but it won’t have such a prominent place in the typical user journey. Wrapping up, my picture of the ecommerce world 5 years from now is very much an iterative extension of today’s possibilities, because I don’t think there’s a major upheaval over the horizon. I contend that we’re firmly in the maturation stage of online retail, and the biggest impacts will result from the steady implementation of the technologies already on the market. What are your expectations for the future of ecommerce? How do you see personalization developing? Do you think VR will ever find a useful place in retail, or will it remain an interesting experiment until it is eventually superseded by a more advanced technology? The coming years stand to be very interesting! Bogdan has helped dozens of ecommerce businesses grow sales and acquire more customers by using data driven PPC marketing strategies. At Adfix, he leads a team of top class PPC and Social Media experts that help clients maximize ROI from their campaigns. Insights and tips on your ecommerce marketing efforts.